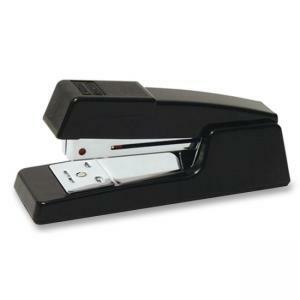 Classic half-strip stapler functions as a desk stapler, stapling tacker or plier stapler. Clinch adjusts to either permanent or temporary fastening. Stapler features a convenient staple supply indicator. 20 sheet capacity.